Dr Boris Rankov was born in 1954 and studied Classics and Ancient History at Oxford, where he also wrote his doctoral thesis on Roman military staff officers. He has held a Research Fellowship at Oxford and lectureships in the United States and Western Australia. While at Oxford, he rowed in six winning Boat Race crews and has, since 1988, been one of the rowing masters on the reconstructed Greek trireme Olympias. 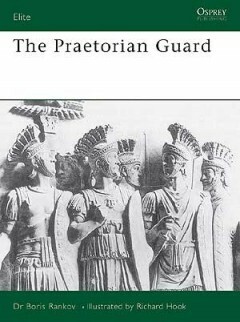 He is joint author of a forthcoming study on Roman military intelliegence, and is currently Lecturer in Ancient History at Royal Holloway and Bedford New College, University of London.